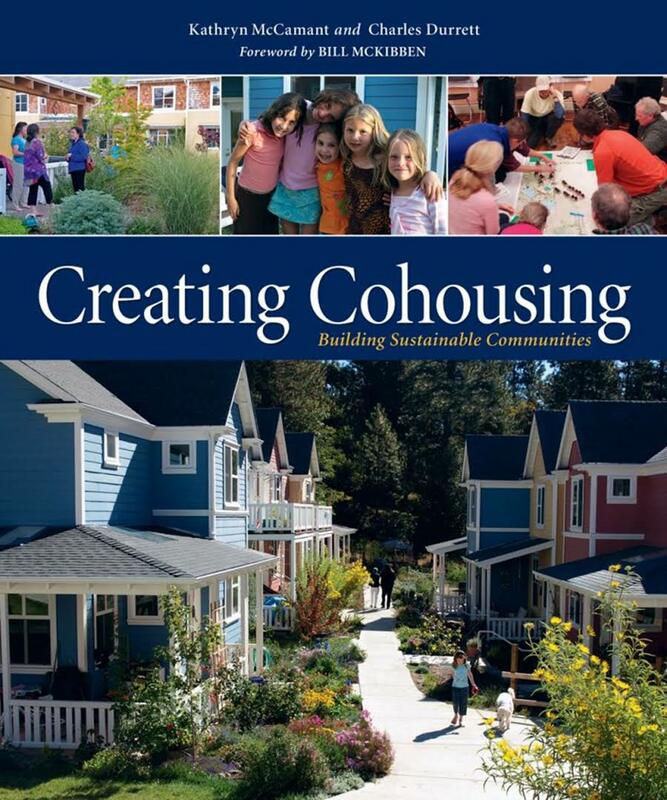 There’s a lot of great information about cohousing out there. We’ve listed a few of our favorite videos, websites and articles below. Film makers Dany Gagnon and Regan Payne interview cohousing residents from WindSong Cohousing Community (completed 1996), Cranberry Commons Cohousing (completed 2001) and Roberts Creek Cohousing (completed 2005). Canadian Cohousing Network – is a registered non-profit organization that promotes the creation of cohousing communities as a model for sustainable development by raising public awareness about cohousing and by bringing people together to form communities. Their website contains valuable information for those who are interested in living in a cohousing community. CCN links individuals and cohousing groups together to share resources and make the process of creating a community easier and more economical. CoHousing Solutions – Our development consultant, Katie McCamant, is President of CoHousing Solutions. Her team pioneered the development of cohousing in North America, and have helped create dozens of successful, award-winning communities. There’s a wealth of knowledge on the website. Cohousing originated in Denmark in the 1960’s, and was introduced to North America in 1988 by two architects. (One of them being our consultant, Katie McCamant!) Since then close to 200 cohousing communities have been built in North America, and close to 200 are forming or in development at this time. Prairie Sky is a long-standing successful cohousing community right here in Calgary. They have built a cooperative and caring neighbourhood based on principles of community, respect, and sustainability. Built in 2003, the community contains 18 homes in a range of sizes. 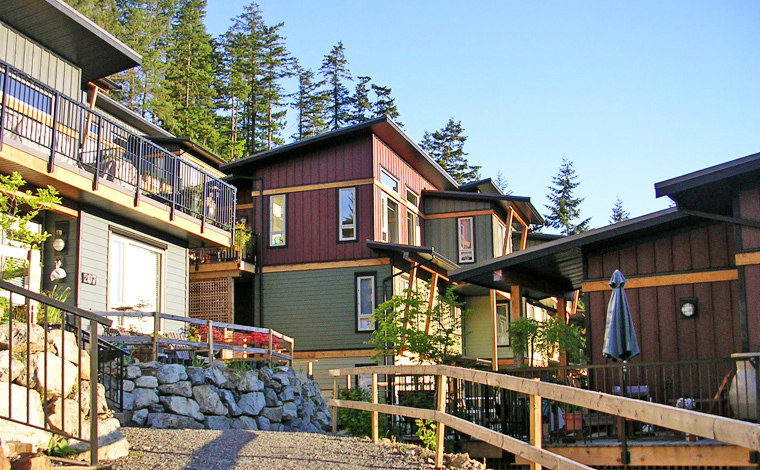 Vancouver Cohousing consists of 29 privately owned, fully equipped homes plus 2 rental units, in addition to a large and beautiful common house and outdoor common areas. The common house has an area of 6,500 sq ft. and includes a community kitchen, dining room, and lounge; activity rooms for children and teens; office areas; two guest rooms; a yoga studio; and rooftop gardens. As well, there are ground-level gardens, workshops, plus a courtyard and play area that encourage year-round social contact. All parking is underground. Nestled on a 6 acre site with organic community gardens and 4 acres of natural reserve traversed by a creek. They opened their doors in July, 1996. Belterra is a beautiful property about a 15-minute walk from the village of Snug Cove on Bowen Island (a 20-minute ferry ride from West Vancouver). Thirty townhouse suites grace the hillside overlooking forests and the Coastal Mountain Range. Completed in 2014, the multi-generational community shares vegetable gardens and a 3,700 sf Common House with many amenities, including guest rooms and a workshop. They have incorporated many environmentally sustainable and technology features into their design. Construction was completed in October 2001. They are a community of young and old, families & singles.